My most previous post is about how I loved and enjoyed the movie Inside Out. But I could not stop myself from writing about another reason why people should see this new Pixar animation. It is because of the equally adorable short film which was featured prior to the main movie. It’s entitled Lava. I was totally clueless when the short film started. I thought it was just one of the movie trailers or previews. But as the film continues with its charming music and unique love story, I eventually found myself so engaged with this impressive short film. 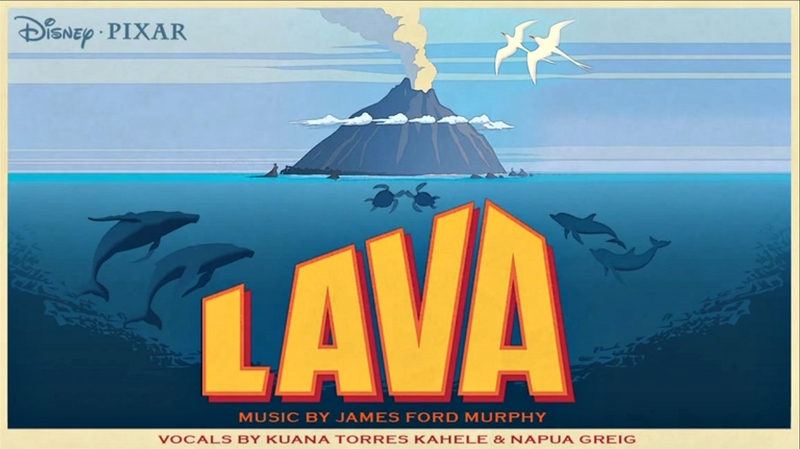 The short is about a volcano all alone in the middle of the sea longing to meet another volcano he would love. But since he’s stuck and could not move, all he could do until he grows old to the brink of extinction and nearly submerged under the sea was to sing a song about his dream of meeting a volcano he could love. He however doesn’t know that deep beneath the sea is a female volcano who hears his singing every day. 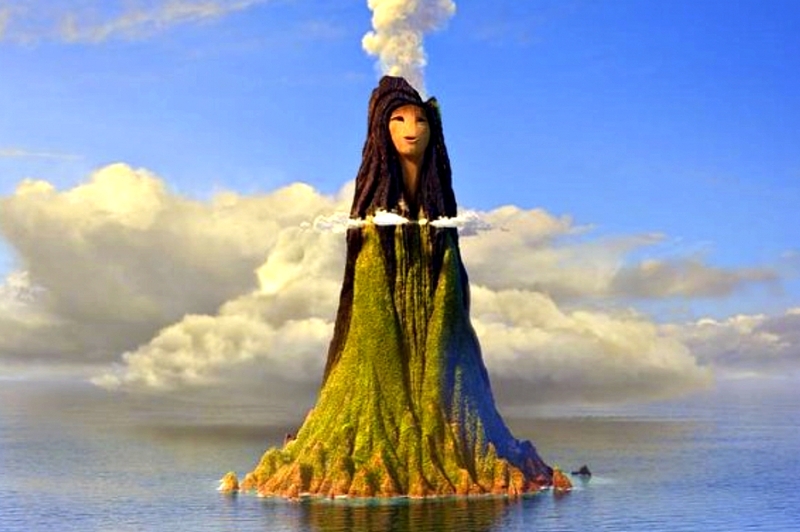 This lady volcano knows that she is the one that the male volcano was longing for. But when a colossal shaking of the earth occurred, the female volcano emerged above the sea level. But she emerged facing the wrong way! The male volcano was at her back! The male volcano noticed the new, high and lovey lady volcano, but could no longer sing because his mouth is already submerged in water. He could not also be seen by the lady volcano for she emerged above water facing the wrong way. Until a great storm came and have the male volcano gone totally submerged underwater. While underwater, the male volcano could hear the lady volcano singing his very song of hope. 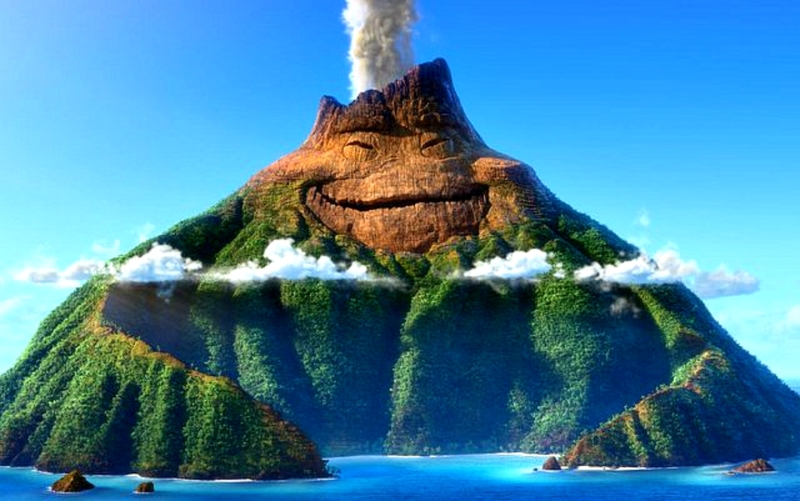 He was happy and knew that the volcano he was longing for was already up above the water. But the problem is, he is down submerged under water. Until another mighty shaking and rumbling of the earth happened and the male volcano was pushed up above the water. Now both of them were above water and was actually positioned side by side seeing each other! Now both are singing a new song. This time, it is about having their wish coming true and that is to grow old together as two loving volcanoes. But when both volcanoes eventually found each other, I was tearing already. Good thing, me and my family chose to watch the 3-D version. I was already wearing the 3-D glasses that’s why my relatives could not see me crying! Hahaha! Aside from the adorable song, what I loved most about this short is the simplicity of the story. Maybe I am already so complicated that is why seeing something simple is so great for me. For me, Lava is a beautiful and moving short film. Those who won’t be moved by this film may literally need lots of super hot lava so as to melt their heart of stone. Ang ganda! Parang gusto ko tuloy maging bulkan. Hahaha!